You must have seen the unthinkable on the cricket field from the God of cricket, as he is acclaimed to be, Sachin Tendulkar. The fabulous fours, crazy sixes, wonderful wickets and the frenzy of the crowds echo in the stadiums, and the chants of his name lend to the thunderous ambience of the cricket stadium, you’ve probably seen or experienced it all. 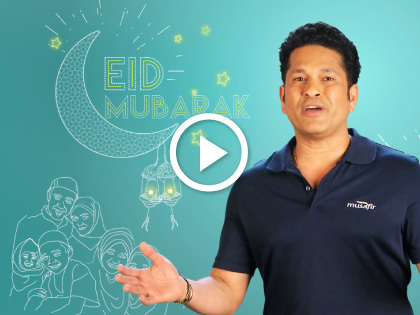 Now, watch the master blaster as he personally wishes you the best wishes for Eid.